The Pullman Hotel offers a wide variety of great promotions in the upcoming months of February and March. Guests have the option to enjoy relaxing Happy hours, delectable al fresco dining or get in shape at unmatched prices. Pullman hotel offers unparalleled vibrant atmosphere complete with great range of activities. The following promotions can be availed throughout the month of February and March. This buzzing Italian Bistro and Bar offers an unmatched range of authentic Italian dishes and creative cocktails. Guests indulge in Manzoni's exuberant selection of cocktails and libations with a daily Buy 1 Get 1 Free Happy Hour. 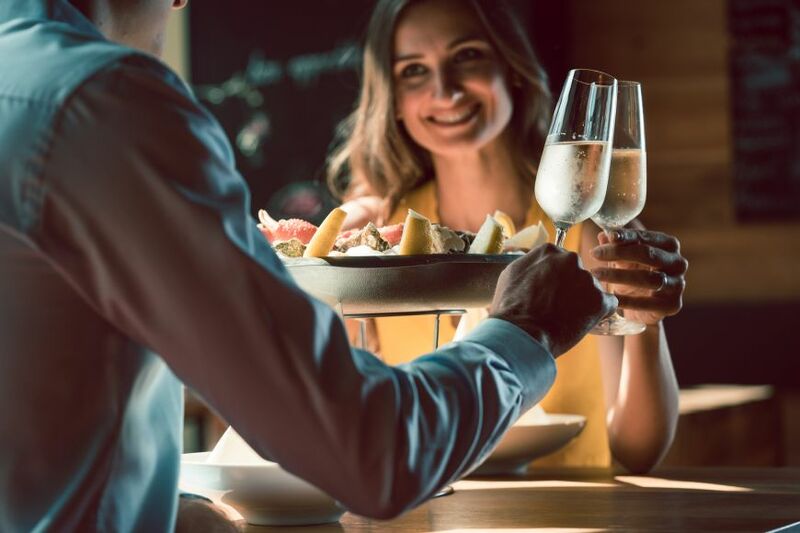 Ladies are invited for a night of fun, flavour and friends at Ciao Bella, every Tuesday where they enjoy 40% off the delicious bar menu and 3 complimentary beverages. The energetic al fresco dining venue and bar offers live entertainment while overlooking the glittering towers in JLT and not to forget the ultimate place to catch all the sporting action. The delightful all-day dining venue offers flavours from around the world with an infectious ambience for the whole family. Launching this month, every Wednesday guests can indulge in a exotic spread of Asian and pan-Asian cuisine from 7:00 pm to 10:30 pm from AED 85 with soft beverages, AED 170 with alcoholic beverages. Every Thursday evening guests are invited to savour the exceptional Seafood Night from 7:00 pm to 10:30 pm at AED 119 with soft beverages and AED 209 with alcoholic beverages. On Fridays the families are invited to brunch with a fun day filled with decadent dining from around the world and live entertainment from 1:00 pm to 4:00 pm at AED 119 with soft beverages, AED 209 with alcoholic beverages and AED 79 for kids aged 6 to 12.